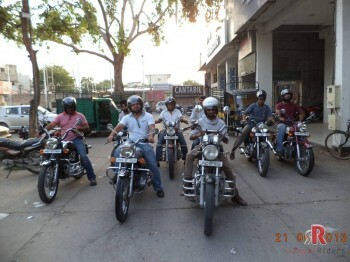 The information provided on this web site includes, but is not limited to, the services provided by weRoyalRiders.com. (“weRoyalRiders.com” or “weRoyalRiders” or “we Royal Riders” or “weRR”), and does not render any advice, certifications, guarantees or warranties on the Content (as defined below) relating to the services, which weRoyalRiders.com makes available on this Site. 1.1 As stated above, the contents provided on or through this Site are solely for information purposes and do not substitute for specific advice whether investment, legal, taxation or otherwise and are not intended to provide you with any nature of certification, guarantee or warranty. By accessing, browsing and using this Site, you agree and acknowledge that you understand this limited and restricted use and agree that you would not rely on the information and materials contained in this Site for any purposes except as weRoyalRiders.com intended or specified under this Agreement. You further agree that in all actual matters, you are ultimately responsible for determining your specific requirements and consequences thereof. weRoyalRiders.com disclaims all liability for damages caused by use of Content on the Site. 2.1 “Contents” or “Content” shall mean any and all information, data, text, software, music, sound, photographs, graphics, video, messages, materials, news, notices, articles, contracts, forms, documents or other materials and information which may be viewed or downloaded on or through this Site. Contents shall also include any e-mail, messages, e-cards, photographs, videos or any other information furnished by a user to be displayed on the Site by weRoyalRiders.com. 2.2 “Site” shall mean the internet site identified generally by the URL www.weRoyalRiders.com and all pages linked to that URL which pages are posted and operated by weRoyalRiders.com or its agents. 3.1 weRoyalRiders.com or any of its affiliates or associates or employees shall not be in any way responsible for any loss or damage that may arise to any person from any inadvertent error in the information contained in this Site. The information from or through this Site is provided “as is” and all warranties express or implied of any kind, regarding any matter pertaining to the Site or the Content including, without limitation, the implied warranties of merchantability, fitness for a particular purpose, and non-infringement are disclaimed. 3.2 weRoyalRiders.com and its affiliates and associates shall not be liable, at any time, for any failure of performance, error, omission, interruption, deletion, defect, delay in operation or transmission, computer virus, communications line failure, theft or destruction or unauthorized access to, alteration of, or use of information contained on the Site. No representations, warranties or guarantees whatsoever are made as to the accuracy, adequacy, reliability, completeness, suitability or applicability of the information to a particular situation. 4.1 You may post your reviews or comments; and submit suggestions, ideas, questions, or other information, so long as the Contents are not illegal, obscene, threatening, defamatory, invasive of privacy, infringing of intellectual property rights, or otherwise injurious to third parties or objectionable and do not consist of or contain software viruses, political campaigning, commercial solicitation, chain letters, mass mailings, or any form of “spam”. You shall not use a false e-mail address, impersonate any person or entity, or otherwise mislead as to the origin of the Contents. However, you acknowledge that weRoyalRiders.com does not pre-screen the Content, but that weRoyalRiders.com and its designees shall have the right (but not the obligation) in their sole discretion to accept, refuse, move, or remove any Contents that are available via the Site. 4.2 You understand that all Contents, whether publicly posted or privately transmitted, are the sole responsibility of the person from which such Content originated. This means that you, and not weRoyalRiders.com, are entirely responsible for all Content that you have provided weRoyalRiders.com with in order to upload, post, transmit or otherwise make available via the Site. 4.4 You expressly represent and warrant that: (i) you are capable to use this Site in accordance with all terms and conditions herein in relation to the access and use of this Site and the services provided therein; and (ii) all information supplied by you in any correspondences or any other documentation to weRoyalRiders.com is true, current complete and accurate. You expressly agree that this clause shall survive any termination of this Agreement. This Site may contain hyperlinks to websites operated by parties other than weRoyalRiders.com. The inclusion of hyperlinks to such websites does not imply weRoyalRiders.com’s certification or endorsement of such websites nor any association with their operators. 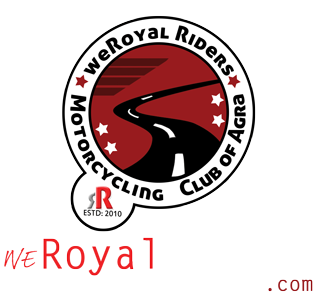 weRoyalRiders.com or its affiliates or associates or its employees do not provide any judgment or warranty in respect of the authenticity or correctness of the content of such other services or sites to which links are provided. A link to another service or site is not an endorsement of any products or services on such site or the Site. You shall be solely responsible for any or all the consequences that arise out of your use of such hyperlinks to websites. All text, graphics, audio, design and other works on the Site are the copyrighted works of weRoyalRiders.com unless otherwise indicated. Content on the Site is for personal use only. Any alteration of the material or use of the material contained in the Site for any commercial purpose is a violation of the copyright of weRoyalRiders.com and/or its affiliates or associates or of its third-party information providers. The Content available on the Site shall not be copied, reproduced, republished, uploaded, posted, transmitted or distributed in any way without obtaining the prior permission from weRoyalRiders.com. All responsibility and liability for any damages caused by downloading of any data is disclaimed. 7.1 weRoyalRiders.com grants you a “limited non-exclusive license” to access and make personal (non commercial) use of this Site for informational purposes and not to modify either the whole or any portion of the Site. 7.3 You, your partners, your employees, your agents or any other person associated with you personally or professionally, may not, with or without compensation, prepare any derivative works from, or sell, lease, license, e-mail, reproduce, duplicate, copy, resell, republish, transmit or distribute or otherwise exploit for any commercial purpose via any media, now known or unknown, any Contents from this Site to any other entity or individual. No Contents or information on the Site may be reproduced in any form or incorporated into any internet web-site or any other information retrieval system, either electronic or mechanical. It is a condition of your use of this Site that you do not restrict or inhibit any other user from using this Site. 7.4 You shall not frame or utilize framing techniques to enclose any trademark, logo, or other proprietary information (including images, text, page layout, or form) of weRoyalRiders.com and/or our affiliates without the express written consent of weRoyalRiders.com. You may not use any meta tags or any other “hidden text” utilizing weRoyalRiders.com?s name or trademarks without the express written consent of weRoyalRiders.com. Any unauthorized use terminates the permission and the license granted by weRoyalRiders.com under this Agreement to you. 8.1 weRoyalRiders.com reserves the right to modify, suspend/cancel, or discontinue any or all sections, or service at any time without notice. weRoyalRiders.com reserves the right to make modifications and alterations in the information contained on the Site without notice. You agree that weRoyalRiders.com shall not be liable to you or to any third party for any modification, suspension or discontinuance of the Site. weRoyalRiders.com MAKES NO WARRANTIES OR REPRESENTATIONS AS TO THE CONTENTS OF THIS SITE AND weRoyalRiders.com ASSUMES NO LIABILITY OR RESPONSIBILITY FOR ANY ERRORS OR OMISSIONS IN THE CONTENT ON THE SITE. THE CONTENTS ARE PROVIDED “AS IS” AND WITHOUT WARRANTY OF ANY KIND, EITHER EXPRESS OR IMPLIED, INCLUDING, BUT NOT LIMITED TO, THE IMPLIED WARRANTIES OF MERCHANTABILITY, FITNESS FOR A PARTICULAR PURPOSE, OR NON-INFRINGEMENT. weRoyalRiders.com FURTHER MAKES NO REPRESENTATION OR WARRANTY THAT ANY FILES, LINKS OR POINTERS AVAILABLE THROUGH THIS SITE WILL BE FREE OF VIRUSES OR OTHER CODES THAT CONTAIN CONTAMINATING OR DESTRUCTIVE PROPERTIES. 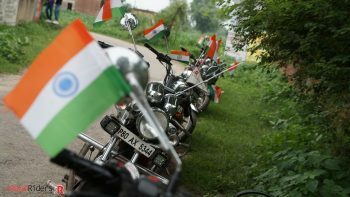 TO THE FULLEST EXTENT PERMISSIBLE PURSUANT TO THE APPLICABLE LAW, weRoyalRiders.com DISCLAIMS ALL WARRANTIES, EXPRESS OR IMPLIED. weRoyalRiders.com MAKES NO WARRANTY THAT (i) THE INFORMATION WILL MEET YOUR REQUIREMENTS, (ii) THE SITE WILL BE UNINTERRUPTED, TIMELY, SECURE, OR ERROR-FREE, (iii) THE RESULTS THAT MAY BE OBTAINED FROM THE USE OF THE SITE WILL BE ACCURATE OR RELIABLE, (iv) THE QUALITY OF ANY INFORMATION OBTAINED BY YOU THROUGH THE SITE WILL MEET YOUR EXPECTATIONS, AND (v) ANY ERRORS IN THE SOFTWARE WILL BE CORRECTED. ANY MATERIAL, CONTENTS OR INFORMATION DOWNLOADED OR OTHERWISE OBTAINED FROM THE SITE IS SUBJECT TO THIS AGREEMENT AND DONE AT YOUR OWN DISCRETION AND RISK AND THAT YOU WILL BE SOLELY RESPONSIBLE FOR ANY DAMAGE TO YOUR COMPUTER SYSTEM OR LOSS OF DATA THAT RESULTS FROM THE DOWNLOAD OF ANY SUCH MATERIAL. weRoyalRiders.com is not liable on the authenticity of such data. Without limiting the foregoing, under no circumstances shall weRoyalRiders.com be held liable for any delay or failure in performance resulting directly or indirectly from acts of nature, forces, or causes beyond its reasonable control, including, without limitation, Internet failures, computer equipment failures, telecommunication equipment failures, other equipment failures, electrical power failures, strikes, labor disputes, riots, insurrections, civil disturbances, shortages of labor or materials, fires, floods, storms, explosions, acts of God, war, governmental actions, orders of domestic or foreign courts or tribunals, non-performance of third parties, or loss of or fluctuations in heat, light, or air conditioning. NEITHER weRoyalRiders.com NOR ITS AFFILIATES, EMPLOYEES, AGENTS OR CONSULTANTS SHALL IN ANY EVENT BE LIABLE FOR ANY INDIRECT, INCIDENTAL OR CONSEQUENTIAL DAMAGES SUCH AS, BUT NOT LIMITED TO, LOSS OF BUSINESS INFORMATION, LOSS OF GOODWILL, BUSINESS INTERRUPTION OR LOSS OF ANTICIPATED PROFITS OR BENEFITS RESULTING FROM USE OF THE SITE OR ANY PART OR WHOLE OF THE CONTENT OR ARISING OUT OF ANY BREACH OF WARRANTY EVEN IF weRoyalRiders.com OR ITS AFFILIATES, EMPLOYEES, AGENTS OR CONSULTANTS HAVE BEEN ADVISED OF THE POSSIBILITY OF SUCH DAMAGES. SUCH LIMITATION OF LIABILITY SHALL APPLY WHETHER THE DAMAGES ARISE FROM USE OR MISUSE OF OR RELIANCE ON weRoyalRiders.com INFORMATION, FROM INABILITY TO USE weRoyalRiders.com INFORMATION, OR FROM THE INTERRUPTION, SUSPENSION, OR TERMINATION OF ACCESS TO THE CONTENT OR SITE (INCLUDING SUCH DAMAGES INCURRED BY THIRD PARTIES). THIS LIMITATION SHALL ALSO APPLY, WITHOUT LIMITATION, TO THE COSTS OF PROCUREMENT OF SUBSTITUTE CONTENT, LOSS OF GOODWILL, LOSS OF PROFITS, OR LOSS OF DATA. SUCH LIMITATION SHALL FURTHER APPLY WITH RESPECT TO THE PERFORMANCE OR NON-PERFORMANCE OF weRoyalRiders.com OR ANY INFORMATION THAT APPEARS ON, OR IS LINKED OR RELATED IN ANY WAY TO, THE SITE PROVIDED THEREUNDER. SUCH LIMITATION SHALL APPLY NOTWITHSTANDING ANY FAILURE OF ESSENTIAL PURPOSE OF ANY LIMITED REMEDY AND TO THE FULLEST EXTENT PERMITTED BY LAW. You agree to indemnify and hold weRoyalRiders.com and its subsidiaries, affiliates, officers, agents, and employees, harmless from any claim or demand, including reasonable attorneys’ fees, made by any third party due to or arising out of the Contents you submit, e-mail, transmit or make available through the Site, your use of the Site, your connection to the Site, your violation of this Agreement, or your violation of any rights of another user of this Site. The disclaimer and limited liability of weRoyalRiders.com as set out in this Agreement are fundamental elements of the basis of the bargain for the Content and access to the Site. You agree that weRoyalRiders.com would not otherwise be able to offer the Content or the Site on its present basis without such limitations. This clause shall survive any termination of this Agreement. Any provision of this Agreement which is invalid, prohibited or unenforceable in any jurisdiction shall: (i) be ineffective in that jurisdiction to the extent of the invalidity, prohibition or unenforceability; (ii) not invalidate the remaining provisions of this Agreement; and (iii) not affect the validity of that provision in any other jurisdiction. All legal proceedings shall be subject to the jurisdiction of the courts in Bangalore, India and shall be governed by and construed in accordance with the laws of India and you agree to resolve the disputes under the Arbitration and Conciliation Act 1996. The venue for such arbitration shall be at Bangalore, India. This Agreement or your use of this Site does not constitute any joint venture, partnership, employment or agency relationship between you and weRoyalRiders.com. Copyright © weRoyalRiders.com. All rights reserved.